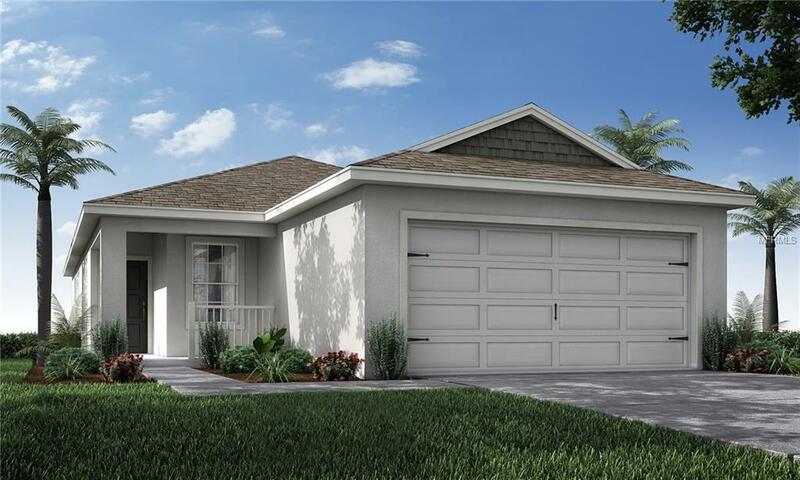 Brand new, move-in ready three-bedroom for sale in Davenport, Florida. 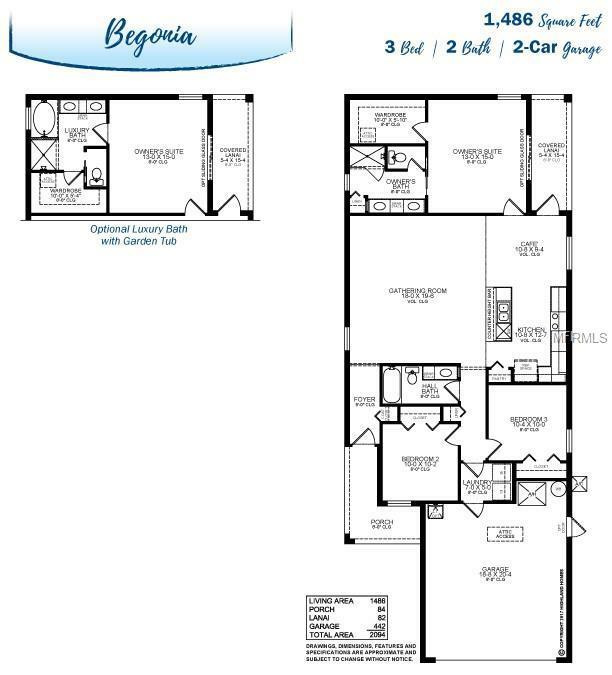 The Begonia features a desirable open living area including a welcoming gathering room, dining caf, and kitchen with counter-height island, all under a volume ceiling. Youll love the private owners suite including dual vanities, a decorative tiled shower with glass enclosure, linen closet, and walk-in wardrobe. Enjoy outdoor living on your front porch and covered lanai! This home includes many stylish and convenient features like a gourmet kitchen with counter-height island, twilight birch wood cabinets with decorative knobs/pulls and crown moulding on uppers, granite countertops, Samsung stainless steel smooth-top range, over-the-range microwave, and quiet-operation dishwasher, pull-down faucet, energy-efficient LED recessed lighting and pantry with tight-mesh shelving. Also features stylish and low-maintenance wood vinyl plank flooring in the kitchen, cafe, foyer, laundry room, and bathrooms, Mohawk stain-resistant carpet in the gathering room and bedrooms, cable and ceiling fan prewires in the gathering room and all bedrooms. Save on utilities with energy efficient R-30 ceiling insulation, foam injected block insulation, double-pane Low-E windows, and a programmable thermostat. Brand new plus includes a great 2-10 Home Buyers New Home Warranty for peace of mind. A must see! Come visit this beautiful house and make it your new home today!